One of my favorite things to do in the fall is start a needlework project. 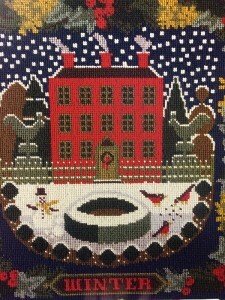 I have selected my project for the holiday season: Winter Sampler from Elizabeth Bradley Designs. I love the primitive design and the colors just fit my décor perfectly. When the weather turns cold, it is fun to sit by the fire in my favorite chair and stitch. In fact, my publishing career began with stitching when we launched Just CrossStitch magazine. Needlework is a part of my soul, and I love every stitch. Many of you have wanted to learn to needlepoint. It is never too late to learn a great hobby. Some of my favorite projects are Elizabeth Bradley designs, and when we were creating a feature on the company for Victoria magazine, I thought I would share with you my love of the designs. Their needlepoint canvases are painted so it takes the guesswork out of placing the stitches. And the best news is that you only have to learn one type of stitch to complete the whole piece. I contacted Elizabeth Bradley Designs and asked if they would let us give away two kits, and they graciously selected two beautiful designs. You can see the kit and a photo of how the designs look finished below. To enter, share this post via one of the social media buttons below, and then leave a comment telling me why you’d like to win a copy. Write about it on Facebook, pin it to your favorite board on Pinterest or even send a tweet. Not a social media person? Just leave a comment instead. Best of luck! Are you ready to learn something new? Share with me the hobbies that you enjoy and some that you would love to learn. I, too, love to needlepoint-a passion I have had for over thirty years. I enjoy Elizabeth Bradley’s designs, also. I am also a fan of the British company, Ehrman Tapestry. Are you familiar with them? Their Creation needlepoint designs are breathtaking, as are all their needlepoint. And they are often quicker to send their kits than some companies here in the U.S. ! Happy stitching, Phyllis! It is one of life’s greatest pleasures. This giveaway is now closed. The winners have been chosen and notified. Thanks for being such loyal readers! What lovely winter designs! 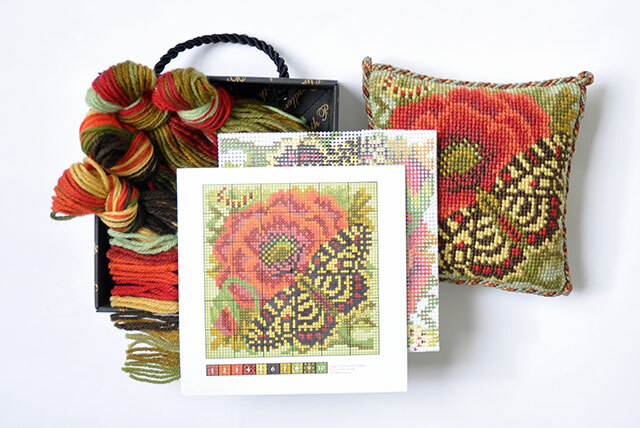 Cross stitch and needlepoint are two of my favorite hobbies and I would be thrilled to win one of these gorgeous kits. Thank you for offering this contest! I love these designs and would enjoy working on a new needlework project this winter! I have not done needlepoint in years as the kits were not to my taste but these are stunning. I mostly do quilting and hardanger but these kits make me want to get back into needlepoint. I so enjoy Elizabeth Bradley’s needlepoint. I always have one I’m working on. They are my peaceful projects, very relaxing. I love sitting in my chair in the winter and doing needlework too! I have perused the Elizabeth Bradley’s catalogue before, but have never stitched one of her beautiful kits. I would love the opportunity to do so! I just found your blog,and joined. I need to do some needle work daily,especially now that it’s fall,trying to finish projects for loved ones. The poppy and butterfly has wonderful colors. I really love these patterns and would love to give this a try! I have always admired needlepoint and would love to learn how! I would love one of these beautiful needlepoint projects to work on this winter! As a new “empty nester”, I am excited about the time I now have to develop the artistic part of my heart and personality, Life has been busy and fulfilling as a mother of three children, and now, it is time to nourish my creative side. I am so eager to make something with my hands, and seeing the Elizabeth Bradley needlepoint designs filled my heart with anticipation and inspiration to create something beautiful. I have many needlework hobbies…needlepoint, cross stitch, embroidery, knitting, sewing, crocheting, paper crafting, jewelry making…there are not enough hours in the day! My mom and grandma taught me how to knit and sew, and I learned everything else on my own. I’m passing my love of these crafts on to my young daughters, one is now adept in knitting, needlework and sewing, and the younger one is very creative with papercrafts. I would love an Elizabeth Bradley kit…I have wanted one for a long time. Thank you for the generous give-away! My mother taught me to crochet and cross-stitch when I was about seven years old. I’ve never made anything this complicated and would love to improve my needlework skills. These designs are beautiful. I’ve loved Elizabeth Bradley for many years, but never managed to choose my favourite favourite … and they are expensive, understandably, so there is an EB-shaped hole in my needlepointing CV. But that Poppy and Butterfly design is calling my name. Or, even worse, not my own name but the name of a very dear friend who has just become a grandmother for the first time, of a baby girl named Poppy! I’ve been wanting to make a little present to celebrate – gosh, I’ve known Poppy’s mother since before she was born! – and this would really be perfect. Thumbs are being held and fingers crossed while typing. No easy task. I love needlepoint it is such a comfort thing. I do all kind of crewel embroidery, needlepoint, knitting and others. I’ve always loved to needlepoint! Sitting by a fire and working with my hands is one of the most comfortable places for me to be! Somehow it gives me that “all is well” feeling. Would love to win one of these kits. I think they are both beautiful! Thanks for the chance to win. Those are lovely. I crochet and cross-stitch but have never tried my hand at needlepoint. I would love to learn that needlework and would love to win either design. They’re beautiful. I think one of these small projects would be the perfect way to get me needle pointing again. My mom passed away 3 years ago and I haven’t done a stitch since. (She was a huge needle pointer until she lost her sight) Reading your blog made me realize how much I miss stitching. So lovely! I’ve done many, many crafts in my lifetime, but needlework, by far, is the most satisfying and beautiful. I love both these designs! In 1983 I subscribed to a new cross stitch magazine, called Just Cross Stitch! I have every issue from the premiere issue through the December 2014 issue. What treasures they are to me. What wonderful projects it has brought me, from cross stitch to learning many speciality stitches. However I have never branched out to try needlepoint. I would really like to try my hand at it so I am tossing my hat in the ring and hoping to receive one of the these charming kits. Thank you for all the interesting and heart touching topics you share in your blog with us. Just love that bird pattern! Shared on Google+. My dear mother in law taught me how to crochet years ago and I have been hooked ever since. I have cross stitched many gifts for family but right now I am working on a hooked rug. I have always wanted to learn how to do needlepoint and would love to win one of these kits. I think Elizabeth Bradley’s designs are exquisite. Since childhood, I have always worked on something whether it was counted cross stitch, needlepoint, knitting or crochet. But I rarely keep anything that I create. It’s time that my living room have something stitched by me, and one of EB’s designs would be fantastic! Love the look of needlework. Elizabeth’s designs are timeless. Just what I need – a beautiful fall project! Elizabeth Bradley is my absolute favorite needlepoint designer! In the early eighties, my husband and I made a trip to England and happened upon “The Spring Country Living Fair” taking place in London. At the fair, Elizabeth Bradley had a booth full of her lovely designs and one of her precious rugs on the floor of her booth. I was swept off my feet!! It was there that I bought my first kit. Then, several year later, my life took a different turn and I retired from nursing and ended up owning a needlework shop. Very early in my career as a shop owner, I attended a needlework market during which I took a class taught by Elizabeth Bradley and her husband. At the end of the class they introduced “the baby kits (6 inch).” I thought I had died and gone to heaven!! It was such a privilege to meet her and hear about how she had established her business. I’m no longer a shop owner but I still enjoy working her designs. Winter weather is quickly making its way into northern Minnesota and the hours dedicated to doing needlework will be a little more plentiful……can’t wait! I am a knitter and would love to learn needlepoint as a retirement project. These designs are stunningly beautiful and I would be honored to receive one. Thank you for the opportunity. Years ago we would visit one of my uncles in the evening and out came the crochet hooks — for several hours there was pleasant conversation and the busy hands of my Mom, sister, aunt, and cousin creating afgans — but not me. I didn’t know how to crochet and had no interest in learning. My aunt brought out a needlepoint kit for me; it was the beginning of a great love – I progressed to cross stitch and have been thankful ever since. And what lovely memories I have. I took a needlepoint class but on this one project I had to learn 6 different stitches……too confusing. I only did the one project because it just wasn’t fun trying to remember so many ways to stitch. I would love a project with only one type of stitch. I’ve done cross stitch and embroidery and some knitting but would really love to try needlepoint again. Elizabeth Bradley is my very favorite. Needlepoint is my go to craft. I’ve made many over the years, but enjoy the EB ones the most. I remember the excitement of receiving my first one from England. So beautiful!! Would love the opportunity some day to travel to England for one of Elizabeth Bradley’s classes. I knit and cross stitch, but have not tried needlepoint. Please enter me in your needlepoint give away. I recently purchased a needlepoint kit and can’t wait to learn this beautiful way of stitching. Thanks for the encouragement. My only needlepoint piece was a footstool cover completed when I was 30 something. Now that I’m retired, a beautiful kit may inspire me to start “needling” again. I grew up watching my mother do needlepoint dinning room chair seat covers. She worked in a needle work shop and people paid her to do these pieces. I’ve made many needlepoint items. My favorite is a very large picture of the Swiss Alps that I made in our hotel room when my husband was on a business transfer for about 6 weeks. This was back in time when the needle shop that I went to introduced me to something new called counted cross stitch and made many of those items. Right now I’m knitting baby blankets for a Care Net center for new mom’s that don’t have much money and it is such a blessing. What dear, dear memories I have of my Momma needle pointing each evening in the family room. I felt so grown up when I got my first canvas from her one Christmas. I still have that first piece and a few cherished pieces of my Momma’s including the famous “needlepoint race” purses. Seems that one year my Papa, a constant reader, wanted to know what Momma was always up to in her chair. She informed him not to bother her as she was racing to finish a needlepoint purse for each of the Grammaws for Christmas. It was mid-December and the clock was ticking! Papa indicated that the fuss wasn’t necessary as it looked like a simple project. Exasperated, she challenged him to a race to see if he could finish the half of the purse she was working on before she finished the other unstarted purse. Papa, after a little instruction, took the challenge and many hilarious evenings followed. Papa would ask Momma to get him a glass of water, or to bring him his sweater just to slow her down. He even went so far as to tell a few of her friends how lonely she had become in the evenings so they would call on her for a long chat… He chuckled and kept working while she had to entertain her worried friends. She didn’t know until much later that he had made those calls. Well, he won by one day, the Grammas got their purses, and a family legend was made. 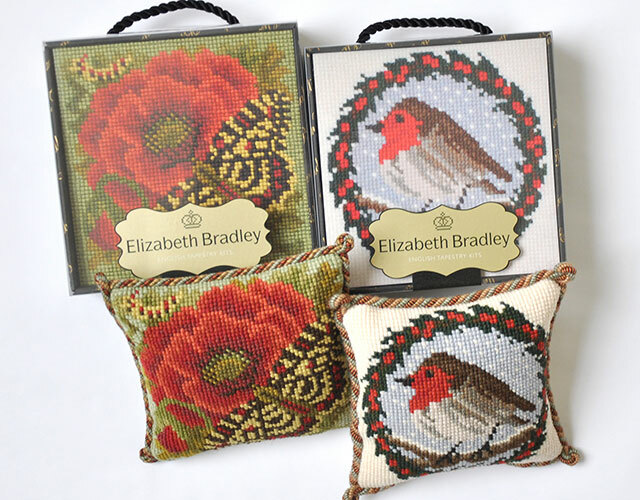 I would love to start needlepointing again and these Elizabeth Bradley beauties might just be the ticket! Who knows, perhaps my hubby would like to needlepoint too. It is addicting! Fingers Crossed! That was hilarious and what wonderful memories you must have. What a funny man, your dad! I have been looking for a project to keep busy hands. You see I recently gained back almost all my hard lost weight and have been so depressed. So this is just the answer to get back on track, especially before the holidays. Thank you for such a lovely offer. I learned to needlepoint as a young girl and I have enjoyed needlepoint on and off over the years. Such an enduring and timeless result. I too enjoy the Elizabeth Bradley patterns and these kits are wonderful! Thank you so much for such a lovely giveaway. Stitching wasn’t for me when I was young. Not even Girl Scout requirements could get me going. Later (in my 30s) I began to cross-stitch in Eckstrom Library at Univ. of Louisville in between classes to calm my nerves. I got hooked (no pun intended). I stitch on Sunday evenings while listening to Echoes and Hearts of Space on public radio. I have so many forthcoming projects to do (including one of Stitch -the alien- as Elvis Presley) that I will be at least 100 before I have all of them finished! I am so glad that I’m not just an odd ball with a needle; it is gratifying to know that others enjoy needlework, too. I learned how to do needlework watching my grandmother doing needlework and crochet. I have done crochet and knitting but needlework has stayed with me more than anything else (embroidery, cross stitch and needlepoint). I mostly do needlepoint and amazed and thrilled whenever I finish a piece and stand back and look at it. I hope to continue this kind of work for a long time….thank heavens for magnifying glasses….Thank you for this wonderful and interest blog. Both designs are so beautiful. I enjoy needlepoint, knitting, counted cross stitch and embroidery. Last week I decided it is time to put a project together that I can work on in the long evenings of winter and needlepoint came to mind. What more could a girl ask for than an Elizabeth Bradley kit with everything needed already in it. Thank you for all that you share! I learn about something new and exciting every time I open The Ribbon in My Journal. Elizabeth Bradley is my all time favorite. I am completing my second piece (wisteria) and would love to win a seasonal mini. The butterfly detail is amazing. Oh my, how beautiful – the reds just sing out the Christmas season. This is our garden – flowers and birds. Thank you for allowing us to try to win one of these. When I was a little girl I LOVED to do needlepoint. I’ve always loved the historical aspect of it, doing something that women generations past had done, and I would sit with a cup of tea happily stitching away on beautifully detailed scenes when it got too cold to meet my friends outside. I believe the Elizabeth Bradley’s are beautiful because of the vibrant colors. I have been stitching many, many years also and would love to try one of these designs. Please enter me in your giveaway. Thank you. I come from generations of stitchers and love things that are handmade. Needlework is my favorite winter pastime including sewing, embroidery and cross stitch. I would love to win one of the needlepoint kits. Enjoy your winter project! When I was a young girl, my grandmother bought a needlepoint kit for me, but after she returned home, I forgot how to make the stitches and never completed it. Now that I am in my seventies, I would really love to learn how, and complete a project. Through the years, I have taught myself to knit, crochet, cross stitch, and tried my hand at quilting. These designs are just stunning! I would love to win one of these? I am a beginner, and would like to start learning. Thank you. I, too, love to needlepoint. It’s so relaxing. Helps sort out my thoughts while I create something beautiful for my home and family. Thanks for sharing! Would love to see any of these lovely designs and work on them during winter days. These canvases are beautiful. I have stitched kneelers for churches one being Washington National Cathedral in DC. I was chosen to stitch a kneeler for the High Altar and so were two of my Fort Worth stitching friends. We stitched to the Glory of God. Oh my, I haven’t done needlepoint in years! Love these designs! Hi, when I go to E. B. Site I don’t see anywhere that says designs are stamped on backing. And nowhere to ask question them. Are all her designs ‘stamped’? All of elizabeth bradley kits come with the canvas with the design screen printed on it, along with a chart card, instructions, needles, and wool. These 2 needlepoint kits are lovely. The poppy is just in time for “Remembering” our soldiers from world wars to the present day heroes. 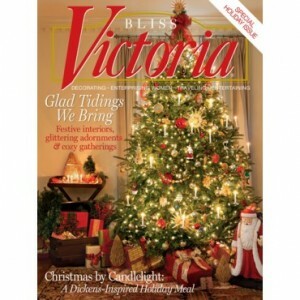 My current interest is pottery – yes, on the wheel and hand built treasures, but crafts in the past have sometimes been inspred by “Victoria” magazine. I painted many wine glasses over the years. Having recently retired, perhaps a needlepoint project will be just the thing to keep me busy on a blustery cold day or long evening curled up by the fire. Beautiful designs; I would love to win either one. Enjoy your winter project; it is lovely. Just love needlepoint! Reminds me if my grandma always stitching something. I love your blog and your projects are so fun! I live Victoria and the old fashioned look to a home. The giveaways would go great around my bird wreath and bathrooms. Thanks for the giveaway! My grandmother taught me needlepoint years ago. Now that I am retired, I would like to try this hobby again. I too love to do needlework during the winter months, sitting by a nice fire in the fireplace. I love both of these, but really love the red bird one! Thank you and Elizabeth Bradley’s designs for this wonderful give away. I have always loved handworked items, our mum only dressed us in exquisite handknitted cardigans, fil da cos knitted socks and handsmocked dresses. But that was 50 years ago! Unfortunately I did not show any interest in learning to knit or embroider, but since I have stopped working, I would love to learn needlepoint! I would love to win the design with the little bird. I love to see the birds at my feeder in the wintertime. I do not know how to do needlepoint, but I know I could learn. I am a watercolor artist, so I guess you’d say that is my hobby. Making something beautiful out of simple materials is my passion, so I suppose you’d say it’s more than a hobby for me. I have always wanted to learn how to needlepoint. What beautiful designs you have featured! You say one stitch! That’s great. It looks like a project you can put down and pick up again anytime. I love the idea that you can let your mind go and relax while working on your piece. An especially great craft this time of year. I love the poppy one in particular. I set a Remembrance Day table center on the kitchen table at the beginning of November with a quilted topper with real poppy printed fabric. I’m always looking for items with the real poppy pictures. It’s such an important time to reflect. Oh I agree! There is nothing more relaxing and to bring such a cozy, warm feeling as working on needlepoint in front of the fire! I haven’t worked on a project in a long time and you have given me inspiration to want to get back to doing just that. The patterns are lovely. I especially love the bird! Thank you for the many enjoyable blog postings and for this opportunity to win such beautiful pattern kits. These are beautiful…I don’t needlepoint but would love to learn and work on a project during the winter months. I have been given lovely needlepoint works from my friend Patty and I treasure them. I have some experience in embroidery and love to knit. Many thanks Phyllis for your blog…always enjoy reading and learning about new things and hearing from your many followers. I love needlepoint. This could be my next project. I believe it was Elizabeth Bradley who said “Needlepoint is a past time to last a life time”. So very true! My needlework projects have been about renewing my love of crochet. I had to stop due to arthritis and fibromyalgia for several years. I’ve been blessed to be able to start again by making baby afghans for my 8th grandchild due in two weeks! The designs are absolutely beautiful! It’s been years since I’ve done any creative needlework, but I’m now retired and would enjoy making several things to pass on to my grandchildren. Enjoy your blog immensely! A perfect medium to learn on….I always think of my friend, Janis, when I see any needlepoint. She did a beautiful set of the seasons…This might provide me with a reason to go spend a few hours with her….why do we have to have reasons these days? Winter is coming quickly to these mountains in North Carolina! I would love a chance to learn a new hobby, and these designs are stunning! Always enjoy your posts and sharing of ideas. It feels as if I am hearing from an old friend. Your magazines are full of lovely ideas and I look forward to receiving each issue. Thank you for connecting with your readers and followers in such a warm and friendly manner! Oh my! Learned at my mothers knee to embroidery simple straight lines. Though she’s with her a Father in heaven now, I still miss seeing her with her needlepoint in her lap and in the last few years of her life, the glasses she had to wear we’re so thick, she still sewed. I continued to needlepoint, candle wick, embroidy, cross stitch until shingles took one of my eyes, but in the last few years, dear old doctor as allowed me to read AND sew. Happy days! If you should chose me to receive an awesome Bradley design, will love and cherish every minute needle pointing. Love Bradley’s designs. So classic and inspirational! Well, this is my third try at sending a comment they keep deleting for some reason..three strikes and I’m out. Phyllis, May I join you with a cup of tea? I love bringing out my hand work especially this time of the year. It just keeps me cozy especially during our long Minnesota winters. Learning needlepoint is a dream of mine. You have inspired me to check out her website. I just feel more intimidated with handwork. Although learning embroidery the past year has allowed me to explore finer handwork. I’m a big crocheter. In fact I just donated over 300 hats to local hospitals. They use them when kids come into ER during the winter with no protection on their heads. That’s a warm and fuzzy feeling. Would love to while away the winter with a needlework kit…especially one of these! Phyllis, First let me say that reading your journal posts is like visiting with an old friend – I love how your thoughts invoke found memories or challenge us to try new things. I would love to have a chance to win one of the beautiful needlepoint kits. I have been an avid needle woman since my Great Aunt Bea taught me to knit when I was 8 years old. I progressed through the needle arts as I grew up, teaching myself to crochet, then crewel embroidery then cross stitch (which I became obsessed with) and finally tackled applique quilt making. There is where my heart and soul have remained for the last 30 or so years. I designed and taught applique for many years; but my love of all handcrafts has remained strong. Jan, I too had an aunt Bea (Beulah) and she did beautiful embroidery and cross stitch. The chairs in her home had pretty pillows like these tucked into the corners for comfort. She inspired me to try a number of things with needle and thread, coming finally to quilting as my true love. 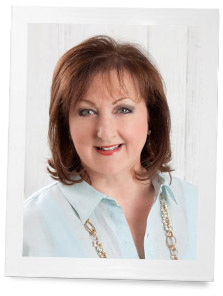 Thank you for sharing your story and to you Miss Phyllis, for this heart warming blog. I would love to rediscover needlepoint. That Red Poppie pillow would look fabulous in my home! These are so beautiful — I have wanted to learn to needlepoint for years now. These designs are definitely worth learning to stitch! Thank you for a chance to win one of these beautiful canvases! Needlepoint is a very relaxing form of expressing your creativity and is one of my passions. I love the nature themes that are expressed in Elizabeth Bradley designs. I’ve long admired Elizabeth Bradley’s designs and, with foot surgery coming up next month, and forced sitting, this would certainly take my mind off the pain I’ll be having, while letting me create something beautiful. Love your blog! Thanks for putting in so many interesting items.